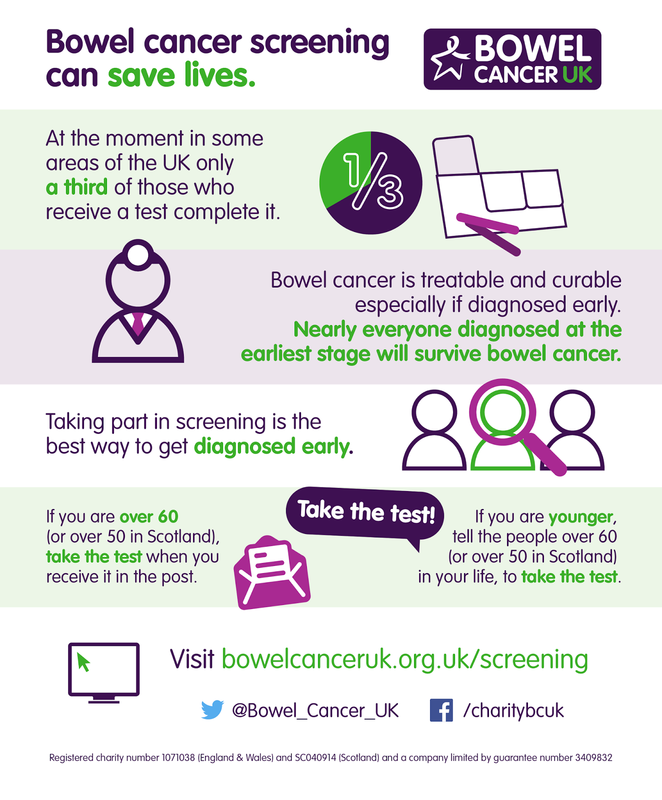 I am supporting Bowel Cancer UK’s campaign to urge more people to take part in bowel cancer screening and save lives, as part of Bowel Cancer Awareness Month in April. 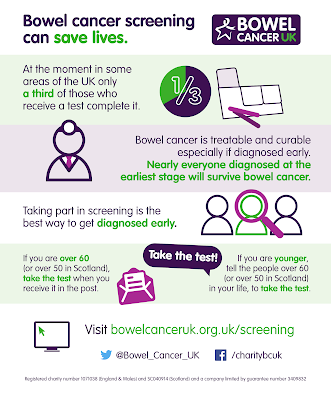 One in 14 men and one in 19 women will be diagnosed with bowel cancer during their lifetime but it is treatable and curable, especially if diagnosed early. Visit Bowel Cancer UK’s website to find out how you can get involved in their campaign for Bowel Cancer Awareness Month.